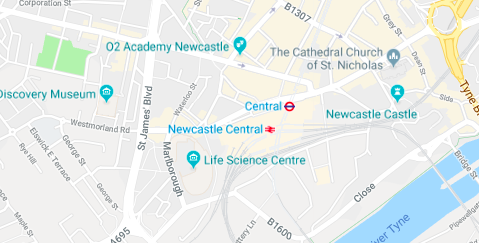 M@ Roundel Oddities: Does Newcastle Have A Tube Station? Talk about a Northern line extension. According to Google Maps, the tube has broken clear of High Barnet and marched all the way up to Newcastle-upon-Tyne. Here, Central station is labelled with an Underground roundel (a protected symbol of Transport for London), rather than the expected Metro 'M'. The station is presumably within reach of anyone owning a Zone 897 travelcard. The metro mix-up was spotted by Curtis Mann in our Roundel Ramblings Facebook group. It's not the only transport blooper in Google Maps. 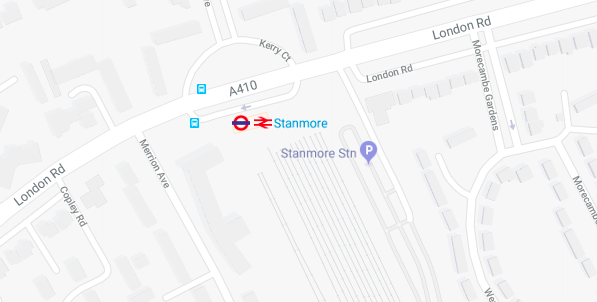 Another group member pointed out that Stanmore tube at the end of the Jubilee line has been upgraded to a national rail station. Spotted any more examples in Google Maps?